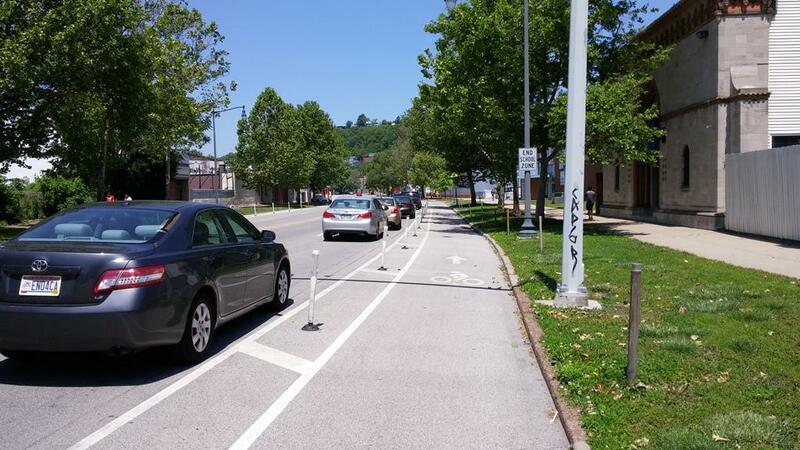 Cincinnati Council Member Christopher Smitherman is no longer asking that a section of the protected bike lane on Central Parkway be removed. Instead he's asking city officials to come up with a solution to make the lanes safer between the 1600 and 2100 blocks. There seems to be agreement that officials are looking for a compromise to keep the protected bike lanes in place. But right now there's no indication on what the solution could be or how much it would cost. Smitherman, at Monday's meeting of the Law and Public Safety Committee he chairs, said all he is looking for is a safer situation where use of the street is open to all. "I'm not an engineer, but I want to make sure that the bikers and the cars and the pedestrians are all in harmony,'' Smitherman said. Council could vote Wednesday on Smitherman's motion asking for such a solution. Right now it's unclear what that would be and how much it would cost. Council Member Yvette Simpson agrees on the need for harmony, but is not convinced it can be done. "Bike lanes don't work if they're not connected,'' Simpson said. "So cutting out a piece of the bike lane means that you get stuck at one place and you can't get through." Former FOP president Kathy Harrell told the committee she simply wants to see the bike lanes eliminated in those blocks because she believes they are a safety hazard. "I'm shocked that no one has been killed and I think it's very unsafe,'' Harrell said. "For anyone who parks down there who decides to go across the street or anything else, it's very unsafe." The city installed the protected bike lanes on Central Parkway in 2014. There have been issues, particularly with parked cars getting hit in some sections.